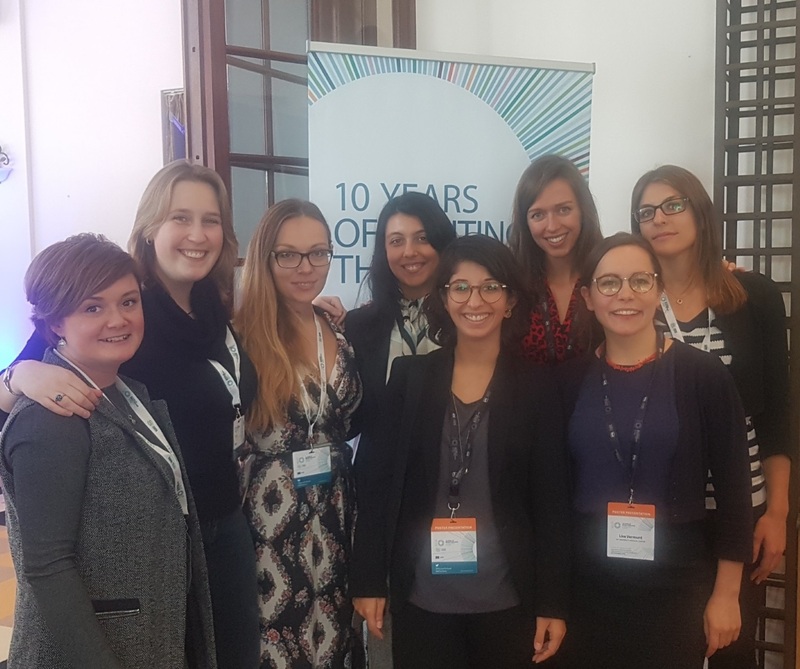 This year Innovative Medicines Initiative celebrates its 10th anniversary and several activities took place to mark the occasion, certainly the most prominent one was the Scientific Symposium held on 22nd– 23rd of October in Brussels. 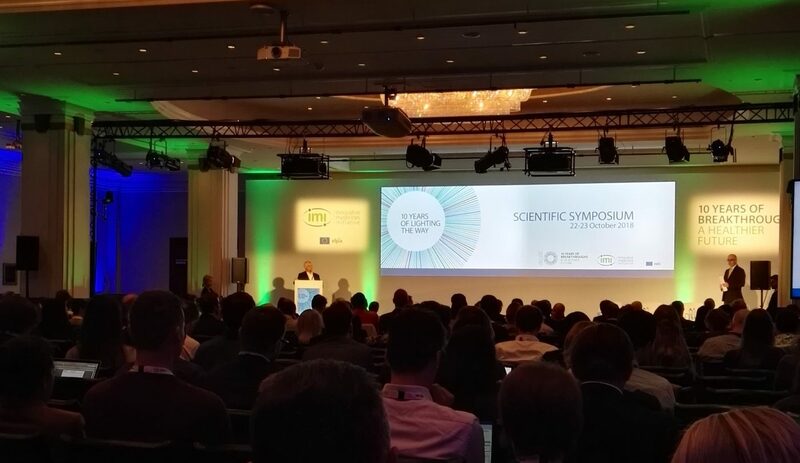 During the two full days, young scientists were in the spotlight, showcasing the IMI projects stellar science and great scientific output that the IMI projects have delivered in the last ten years. The event featured 72 posters and 28 oral presentations, clustered around four topics. SYNAPSE team is very proud of the projects we manage. 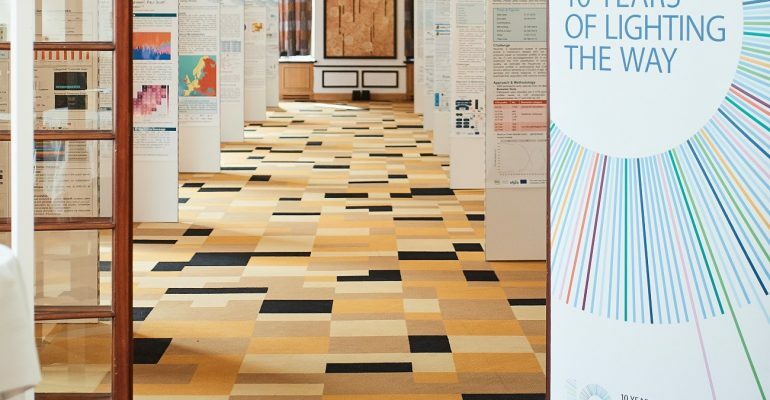 EPAD, AMYPAD, DRIVE and HARMONY, were presented by oral presentations while other projects, such TransQST, eTRANSAFE, eTOX, PARADIGM, ROADMAP and RESCEU had posters exhibited during the two-day Symposium. 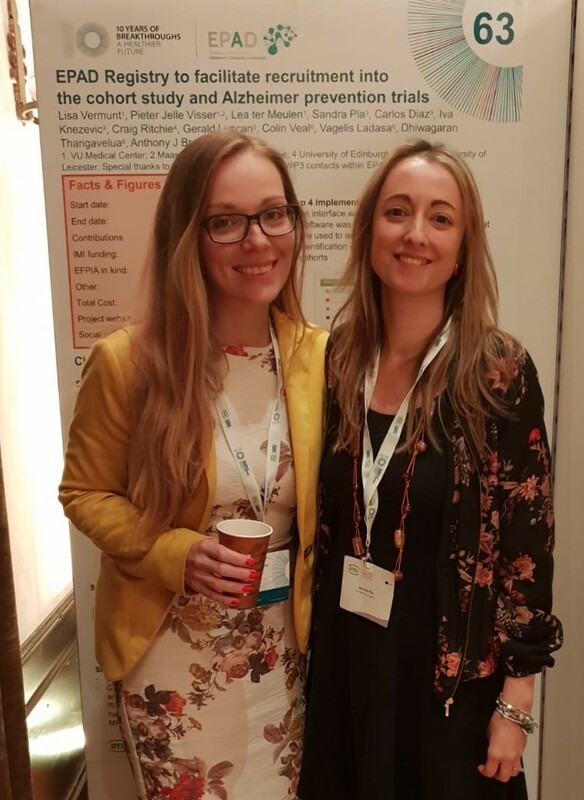 Sandra Pla, Iva Knezevic and Carlos Díaz (SYNAPSE) are also contributing authors to the EPAD Registry poster presented by Lisa Vermunt from VUmc. Furthermore, the presentations were held by young researchers only, which was a great opportunity for the research of EPAD Academy fellows (PhD students and Post-docs involved in EPAD/AMYPAD projects) to gain visibility. The EPAD Academy has been launched in 2017 aiming to create the next generation of AD researchers and thought leaders, and SYNAPSE has been heavily involved in its functioning since its establishment. At the end of the event, the best presenters of the presentations and posters, according to the committee and the audience, received prizes. Congratulations to all the winners and to the young researchers for all the excellent work.